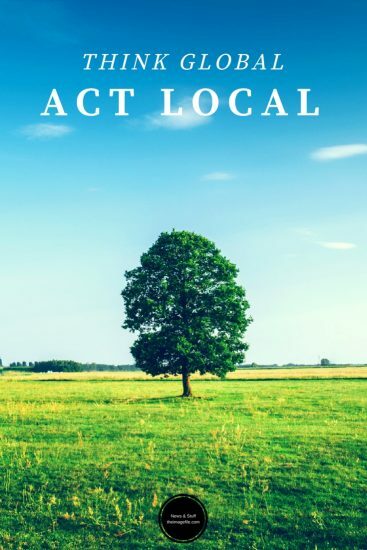 Think global, act local! The spread of digital has been a blessing and a curse. We are now very aware of global trends whilst also being very defined from a local community aspect. How does one affect the other and how should a photography business place itself? It is in your interests to know what the photography trends are in the wider world, whilst also knowing what serves your local community best. But how do we think global, act local? Selfies, food and cats are probably the most popular subjects for photos on social media mainly because of smartphone usage. Fashion photography is in a constant state of flux, whilst confined to the pages of big glossy magazines and outdoor posters. This barrage of imagery will make an impression on brides-to-be and inform their take on the modern world. They may well try to project this onto your style for their wedding. Website addresses. This may seem a strange one but .com and .co.uk are not your only options and with specialisation becoming ever more prevalent and necessary, there are other options. Getting a .photo or a .photography address might be one way of getting higher in those Google rankings and setting your business apart from non-photography website addresses. It’s also a bit quirky and unique too. Selfies, food and cats are probably the most popular subjects for photos on social media mainly because of smartphone usage. You can find other trends by a quick Google search. Are there parallels here? Or inspiration that you can use to entice customers in if they see similar popular style images on your site? Studio Design. Much like your home or desk area, the impressions people get from how you dress your workspaces with photos or art goes a long way to people deciding whether or not to work with you. Lots of design is timeless but showing off your awareness of contemporary looks gives you and visitors much-needed inspiration and comfort of choices well made. It’s important not to chase the trends too much. Remembering the things that informed your career as a photographer lays the foundations and character of your business. It is too easy to get carried away with new equipment, digital products, new ways of marketing, social media. Stick to what you know but review. Change the things that need changing with new ideas and technology. Stay true to your original plan. Make it more efficient and customer-ready. Remember, think global, act local.